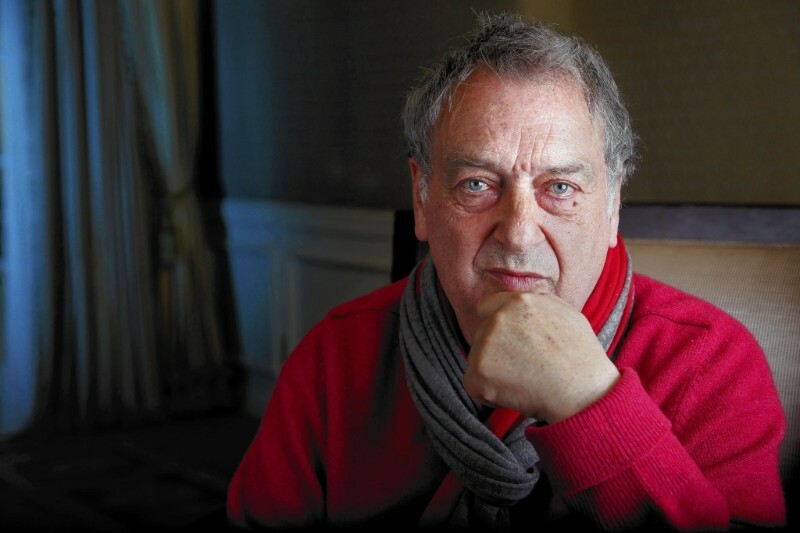 As a special treat for those of us who saw the hugely acclaimed BBC drama A Very English Scandal, its director, Stephen Frears, will now be joining the Curious Arts Festival line up on Saturday 21st July. Perhaps best known for his films The Queen, Philomena, Dangerous Liaisons and My Beautiful Laundrette, Stephen is one of the UK’s most celebrated filmmakers and we are thrilled to welcome such a titan to this summer’s festival. Asking Stephen the questions will be legendary interviewer and festival-favourite, Lynn Barber, whose remarkable life was the subject of the much lauded film, An Education, starring Carey Mulligan. Lynn has interviewed everyone from Salvador Dali and David Hockney to Katie Price and Marianne Faithful - and this event looks set to be one of the festival’s most hotly anticipated. Curious Dog Show now announced too! The Curious Arts Festival takes place this year over the weekend of 20-22 July 2018, once again in the beautiful grounds of Pylewell Park on the Solent Shore close to Lymington. You will be entertained by some of the UK’s most exciting musicians, as well as by famous novelists, exceptional historians and poet laureates (all of whom you will get the chance to meet too). You can expect illuminating adventures, lively literary chat, breakfast briefings on the day's news, cocktail masterclasses, cartoon clubs, the return of MJ's pop-up choir, a fine array of food and drink, fire poem and much more. There are lots of opportunities to join in and try something completely new. It's a real "family" festival - there is lots for curious children to see and do, and dogs on leads are more than welcome too. Be warned that the weekend also involves lots of sitting on a deckchair with a view of the Solent, relaxing with gin and tonic in hand, catching up with friends old and new. This year you might find yourself learning how to write a Petrarchan sonnet, losing your life-savings at poker, creating a vintage doll's house from scratch or joining a LOVE workshop among many other offerings and experiences. John Newman is a celebrated musician, singer-songwriter and record producer best known for the track “Love Me Again” which peaked at number one on the UK Singles Chart in July 2013. He also co-wrote and sang on Rudimental’s 2012 singles “Feel the Love” and “Not Giving In”, which peaked at number one and number 14 on the chart, respectively. In 2014, John featured in the Calvin Harris single “Blame” which topped the UK charts and the same year he was nominated for three Brit Awards, including Best British Male Solo Artist. Newman has sold over a million records in the UK alone and “Love Me Again” has been viewed over 580m times on YouTube. Click here for a taster! Simon Evans who heads up the Comedy and News departments of Curious, is well known to the British comedy-going public from TV shows such as Live at the Apollo and Stand Up for the Week, and as a regular on BBC Radio 4. His own hugely successful, acclaimed radio show Simon Evans Goes To Market returns for a fourth series this January and February 2018 (on currently, Tuesday evenings) and provides a funny, incisive and informed look at the economics behind, well, everything. Regular appearances on various panel games, most notably Radio 4’s legendary The News Quiz. Regular guest on current affairs TV shows (most recently BBC One’s The Big Questions and Andrew Neil’s This Week, on Question Time in February) and on live radio, e.g. Radio Five’s Afternoon Edition. From late February he will be touring his new show Genius which received five star reviews at Edinburgh Festival in 2017 and was described as a ‘masterclass in socio- political comedy’ and an ‘extraordinarily accomplished hour’ in The Scotsman. At Curious he hosts hosts a stellar line up of comedians from 5pm every day Friday, Saturday and Sunday and is a panellist on the daily Breakfast briefing hosted by Paul Blezard. This year he has also booked 3 childrens comedy performers who will be appearing on Friday afternoon, Saturday morning and Sunday morning and there will be a comedy news round up show for kids too on Saturday and Sunday mornings. Curious is cementing a reputation for attracting the cream of UK’s comedy talent: Al Murray, lightening-quick sketch group The Noise Next Door and gifted character acts Jo Neary and Milo McCabe. Comedy lovers at Curious 2018 can also catch Adam Kay, currently topping the best seller list with THIS IS GOING TO HURT, a poignant but hilarious diary of his experience as an NHS doctor, kids favourite James Campbell, Australian podcaster Alice Fraser (Tea with Alice), Cambridge footlights graduate Ben Pope and award-winning Laura Lexx. Author events from amongst many others celebrated author MATT HAIG, journalist, historian and McMafia creator MISHA GLENNY, KATE MOSSE (Labyrinth) on her new book The Burning Chamber, LYNN BARBOUR, MIRIAM DARLINGTON, JAMIE REID, doctor turned comedy writer ADAM KAY (This is Going to Hurt about his time as an NHS doctor) and People’s Poet LEMN SISSAY. Journalists DOLLY ALDERTON (on her book Everything I Know about Love) and SALI HUGHES (author of Pretty Honest) and restauranteur and Polpo founder RUSSELL NORMAN on his new book Venice. • Comedy performances for children from JAMES CAMPBELL and JO NEARY with her Peg in The Gallery performance. • Classic cartoons from early and through the morning showing a charming array of cartoons in the film tent for children and parents to enjoy. Duvets welcome. • Craft workshops from BELLA AND THE YOUNG ONES designed by the immensely talented Isabel Lyster to charm and delight young ones of all ages. Isabel and her team will be on hand through the weekend with paint, tools, pencils, puppets and a wide range of activities to fire the imagination. • Oversized traditional games such as giant chess sets, dominoes, snakes and ladders as well as croquet. Local residents are encouraged to join in the whole weekend's entertainment and activities - there's so much more than the music on offer! Full price weekend tickets are £128, with children over 5 and over at just £23.